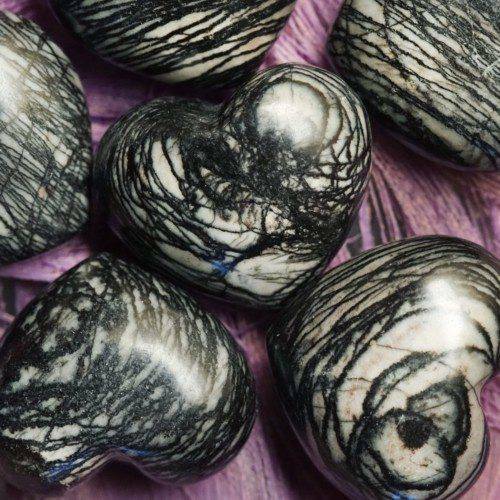 These Picasso jasper hearts are absolutely exquisite. This stone is not only beautiful (truly, it bears such eccentric, sweeping markings, it looks as if Picasso himself painted each and every piece! ), but it is also one of the rarest forms of jasper. The minerals that build its structure and unique pigment come together with a combination of intense heat and a shifting of the earth.This stone is an undeniable work of art, and has very specific metaphysical uses. Its markings represent durability, transformation, and change. Picasso jasper is a stone that can hold YOU as you transform from within, navigating the storms and changes of your life with grace. Work with it during New Moon shadow work, journey work, transformational meditation, and any other healing intended to reach the deepest, darkest places within you. Especially in this gorgeous heart shape. Did you know the heart shape also makes these carvings gemstone ambassadors of love? Yes, these beautiful hearts can be used to bolster your spiritual life and to instill deep love for self, as well as others. Breathe into your heart space as you hold yours in meditation. 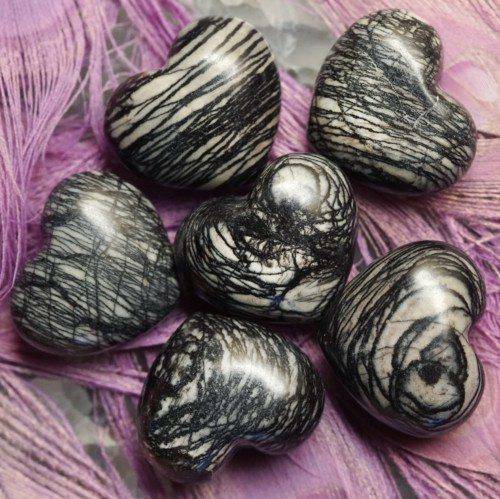 Picasso jasper hearts will also helps with shadow integration – acknowledging your dark parts and integrating them with all your brilliant light in order to lead a balanced life. It is a grounding and protective stone which nurtures you through deep struggle, and brings ancestral contact, and connection with other realms as well. Hold this heart in meditation to connect with its energies. Read more here about how to work with your stones. I adore mine and am so excited to share this rare offering with you. May all your deep spiritual endeavors be protected and blessed. So it is. This listing is for one (1) Picasso jasper heart about 1.75″ in size, which will come gift-wrapped, with a white sage leaf that you can use to clear energies before using. You will also receive a card describing the properties and recommended use of this stone in case you are offering it to another who has not worked with it before. Each piece is chosen carefully and vetted for quality. Shop with confidence.